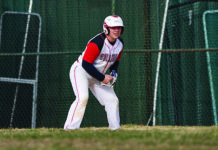 Levittown’s Division Avenue High School seniors Jamie Alvino, Brandon O’Brien and Steven Reilly will continue pursuing a sports career next year at local and regional colleges and universities. 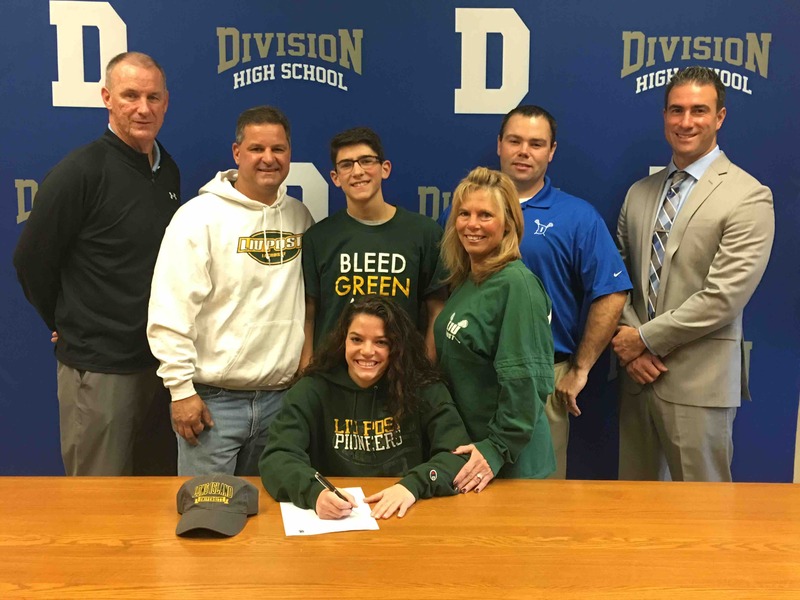 Jamie Alvino signed a national letter of intent to play lacrosse at LIU Post next fall. In addition, Brandon O’Brien committed to play baseball at St. Joseph’s College, while Steven Reilly committed to play lacrosse at Yale University. The district congratulates these talented athletes and wishes them much success. 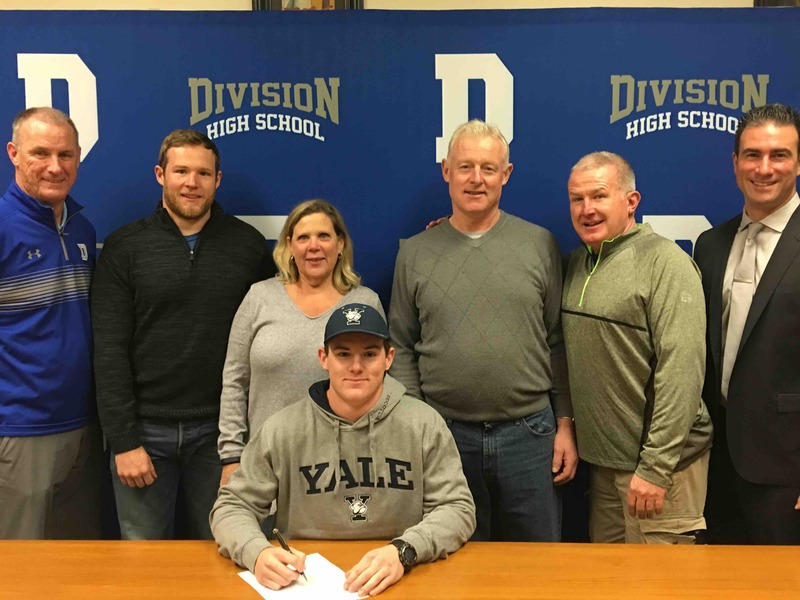 Senior-athlete Steven Reilly is pictured with from left: Physical Education Chair Sean Smith, brother Sean Reilly, parents Kathleen Reilly and Michael Reilly, Coach Pat Nolan and Principal John Coscia. 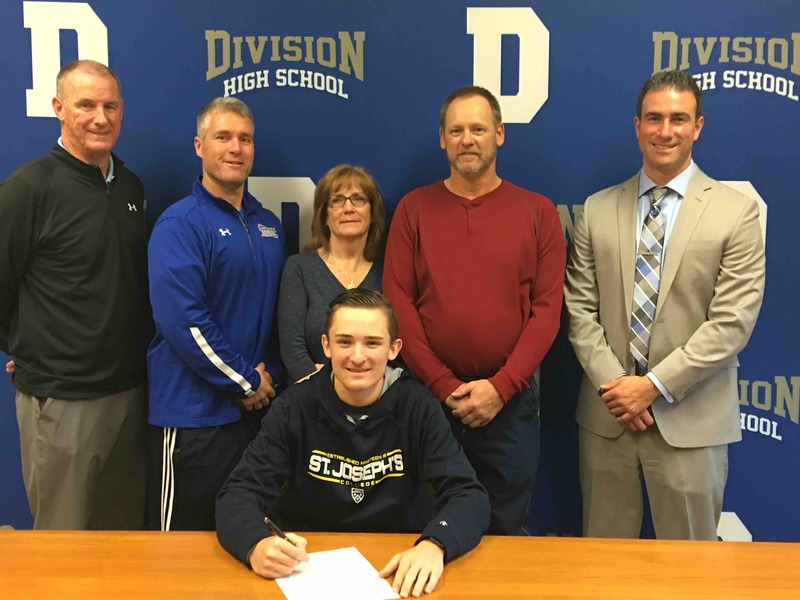 Senior-athlete Brandon O’Brien is pictured with from left: Physical Education Chair Sean Smith, Coach Tom Tuttle, parents Karen O’Brien and Terry O’Brien and Principal John Coscia. Senior-athlete Jamie Alvino is pictured with from left: Physical Education Chair Sean Smith, father Robert Alvino, brother Nicholas Alvino, mother Lisa Alvino, Coach Sean Donnellan and Principal John Coscia.